A dramatic two-horse fall in the opening race on day two of The Championships has dampened the mood at Randwick ahead of Winx’s final ever race in the Queens Elizabeth Stakes. Jockey Andrew Adkins was taken to hospital for precautionary tests after falling in the closing stages of the race. “He was quite shaken and he was in shock and he was in quite a panic when they got to him,” a commentator on Sky Racing said. 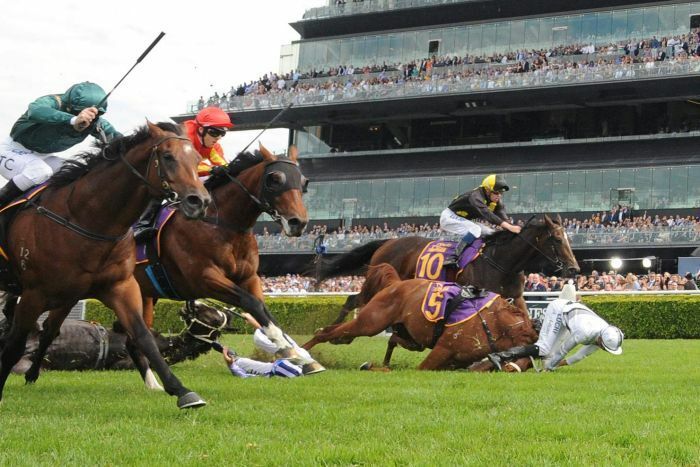 News.com.au reported that neither horse suffered injury in the incident.